Acting is a tough game and I’m not just saying that. It really is. You are constantly in the position of fighting for the next role. I say ‘fighting’ because, basically, you are competing against all the other actors auditioning for a role. So, how can you stand out from the crowd and get the job? This is probably the number one question that all actors ask themselves when going to auditions. Of course, this issue not only relates to auditions, but to rehearsals and performances too. Once you have got the role, the next stage is standing out within a cast. So, how do you stand out, full stop?! The answer is simple. Don’t do what everyone else is doing. Yes, I know it sounds simple, but it is far from that. Most actors won’t do the above. Why? One word. FEAR! Once you are out there in the big bad world of acting, the pressure to conform can be significant. Even when an actor thinks they are pushing the boat out, it still tends to be quite safe. That’s why you need to develop and CONTINUALLY develop your instrument to deliver the unexpected. This is why I developed the Vakhtangov Masterclass. …then this is about making you an unconventional artist! There are many kinds of artists. 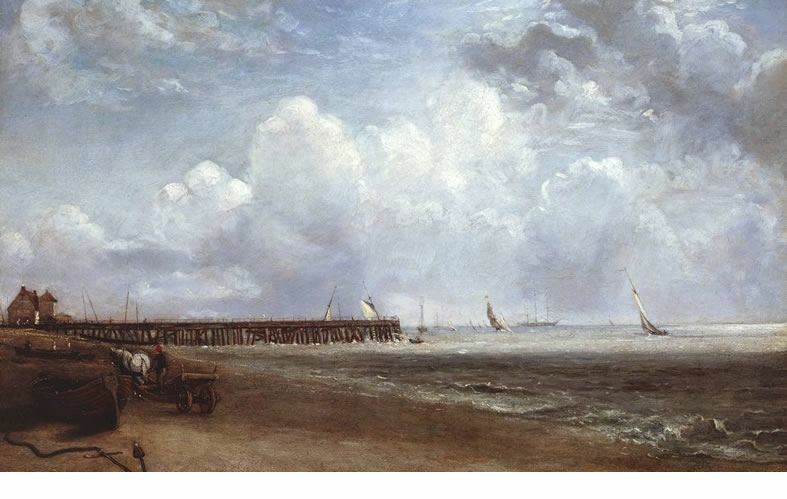 The picture below is by the artist John Constable. He was renowned for painting very high quality landscapes. There is nothing surprising about the painting, but there is no doubt that you are looking at high quality craftsmanship. Now look at this painting. It’s by Pablo Picasso. Picasso broke all the rules when it came to painting and created unusual and unconventional masterpieces. If you want to become the acting equivalent of a Picasso, as opposed to a Constable, then the Vakhtangov Masterclass might just be for you. In 2012, I saw an ad in Time Out advertising that a Russian theatre company (Theater Vakhtangov) was doing the Chekov play Uncle Vanya in London’s West End. The whole play was going to be spoken in Russian with English subtitles. I know, looking back I don’t know how I managed to talk my wife Natalie into going, but I did. I am not exaggerating when I say it was the BEST thing I have EVER seen on stage. It wasn’t just good, it was phenomenal. I wasn’t alone, Natalie thought so too and she is a tough customer to please in the theatre arena. So, what was so good about it? It was intriguing, disturbing, outrageous, moving, deep, grotesque, inventive and constantly surprising. When you watch this kind of work you can’t take your eyes off the stage. It’s like watching some bizarre beautiful car crash. You just have to slow down and take a good look. My conclusion was that this was Method Acting on Steroids. It was a form of method acting, but turned up to a level 11. Yevgeny Vakhtangov was a Russian guy who lived in the early 1900’s. He lived a short life, dying at 39, but made a massive impact into the world of acting. He worked with Stanislavski, teaching his System. It is said that he was the best at teaching it, even better than Stanislavski himself. As his work developed, he began to incorporate other aspects too. He played around with physical movement, grotesque, symbolism, futurism, physiological gesture, archetypes and much more. This is what led to a very powerful approach. Vakhtangov liked the idea of taking the essence of things. He didn’t have a regimented approach; he liked to let things grow organically using the essence. Unfortunately, his approach is largely undocumented. This left me with a problem. I really wanted to develop a class, teaching this approach. I was convinced that if I could get to the bottom of it and pass it onto students, it would take them up another level. So, myself and one of my teachers, Keiran Sheehan, got to work reading everything and anything about Vakhtangov. Although he didn’t document the approach, he gave lots of talks and wrote papers on acting and from these we created our first class. Over the period of a year we developed it, tweaked it and expanded on it. I am now proud to say that we have created a very unique and powerful interpretation of Vakhtangov’s work. Vakhtangov’s core objective was about creating, what he called, Fantastic Realism. This is a realism that is beyond what we might call naturalism. It has an extreme, full and often bizarre quality to it. He did this by showing the actor how they can be completely FREE. He removed all judgment and replaced it with curiosity. He encouraged actors to discover what they were interested in and guided them towards their own creative intuition. Nothing is forced. Everything the actor creates comes from their unconscious. He wanted actors to forget themselves and live unconsciously on stage. Plastiques – This is a movement process to free up the body and connect you to the unconscious mind, and open up your imagination. Physiological breathe – This is a breathing process to connect you to your emotions and imagination. Grotesque – This is a vocal and physical acting approach that takes things beyond normal boundaries. Physiological gesture – This is using imagination and physical movement to create physical gestures that are then internalised in the character. Atmosphere – We work on how to create specific atmospheres in relation to characters and scenes. The box – This is a very special and powerful exercise that allows you to build very deep and imaginative characterisations. Thank you Brian another amazing experience. Life changing actually! Thank you to all the group. What a great bunch and very supportive. I was blown away this weekend. The lid really came off the bottle. Couldn’t sleep last night, still buzzing now. The sensation is still with me! We saw so much experimentation I’ve begun to think of the sessions as a ‘laboratory’ … and I can’t wait to get in the lab! It was an amazing experience this weekend for me, everyone’s attitude of pushing the envelop in new ways and being so supportive of each other. It really was like a lab, explosive reactions left, right and centre. I’ll be back for loads more madness! 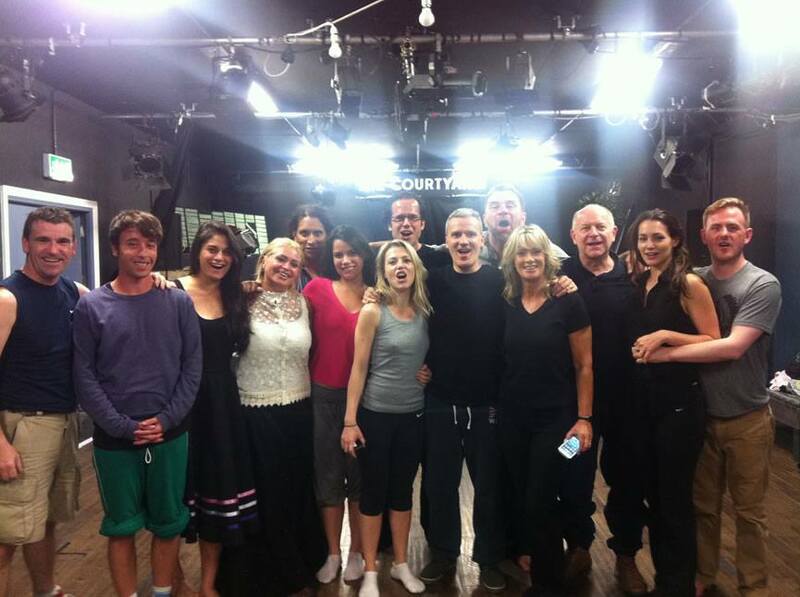 Fantastic workshop again, incredible group of dedicated actors, it just gets better and better….and better and better…. It’s not for everyone and it’s not easy… but the EFFECT is very powerful and rewarding. As you can probably grasp, there is a strong bend towards the physical and you need to be up for that. You also need to be able to embrace an abstract approach. Remember Picasso? That being said, I highly recommend that you do this IF what I have said resonates with you. It will lift things up to another level yet again. The Masterclass happens three times a year. Often students will do all three, as it is progressional and you NEED to be in class honing and developing your skills. If you don’t, there are other actors out there who are and you are in competition with them. Could you imagine being an athlete and only turning up to run the 100 meters when the event is held? You wouldn’t stand a chance. You need to be in continual training. It’s worth carefully reading this quote. Notice how often he mentions great artists and getting to the unconscious. This is the what great actors like Pacino are obsessed with not just acting the role. They are involved in a very deep artistic process. That is what the Vakhtangov Masterclass is all about. It goes beyond what you learned on the Ultimate as it’s very advanced and only suitable once you have done your professional training. 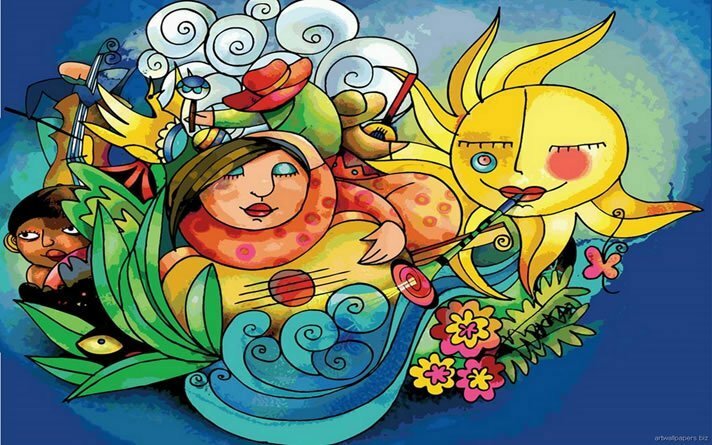 It’s time now to become the unconventional artists that resides within.